Nobel Prize-winning author comes to D.C. 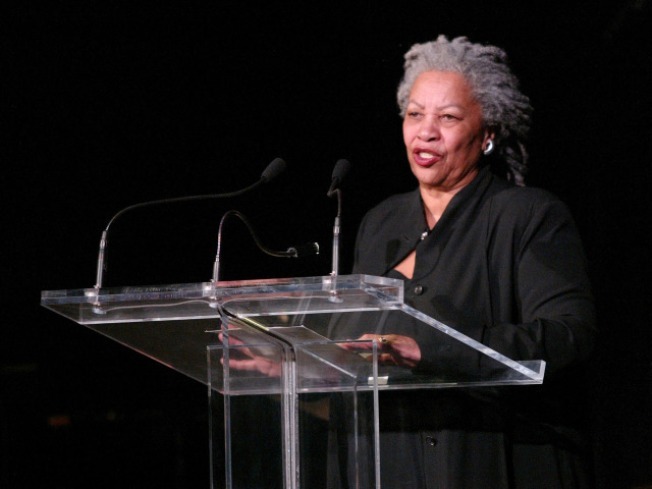 This Sunday's your chance to see Nobel Prize-winning author and professor Toni Morrison. She'll present a reading of “The Fisherwoman” from Robert Bergman’s A Kind of Rapture at The National Gallery of Art at 2 p.m. in the East Building auditorium. Morrison is the author of The Bluest Eye, Song of Solomon, and Beloved, which won the Pulitzer Prize for Fiction in 1988. She also won the Nobel Prize for Literature in 1993. Robert F. Goheen, professor in humanities and Emeritus, special consultant to the director of Princeton Atelier, will join Morrison. The Robert Bergman: Portraits, 1986-1995 exhibition will be on display during the readings and will be open through January 10, 2010. The lecture program is free and seating is on a first-come, first-seated basis. The gallery is expecting a large crowd, so get there early to claim your chair!